In this hysterical bit, John Oliver does an expose on the unscrupulous practices of the vulture debt collection industry. To top it off, he forms his own debt collection agency and makes "television history" by buying up and forgiving the medical debt of nearly 9,000 people. 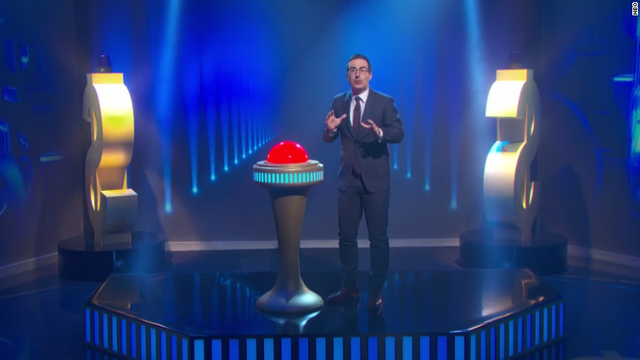 To further illustrate the lack of regulation and ease at which debt collectors can harass people over money they owe, Oliver said "Last Week Tonight" spent $50 to create its own debt collection agency, based in Mississippi. Related: The secret world of debt collectors "Any idiot can get into it, and I can prove that to you, because I'm an idiot and I started a debt buying company and it was disturbingly easy," Oliver said. Oliver named the company "Central Asset Recovery Professionals," or CARP, "after a bottom-feeding fish." He appointed himself chairman of the board.